Bodø, Norway is a little out-of-the-way — located just north of the Arctic Circle — but it’s spectacular. 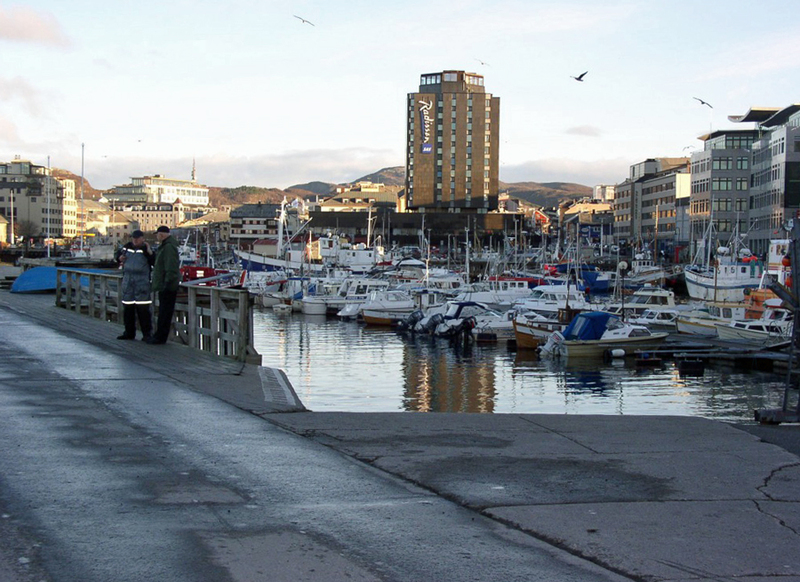 Bodø is the capital of Nordland County and it sits right on a peninsula in the Norwegian Sea. It’s a town with less than 50,000 people, but it’s the largest community in the region. Looking at downtown Bodø, Norway from the docks. I honestly only wanted to go to Bodø so I could say I’ve traveled north of the Arctic Circle. I’m sure the people who live in Bodø see their fair share of tourists just like me. I’m thankful I did it though, not only because I can I say I’ve experienced the Arctic Circle, but also because Bodø is an extremely beautiful community and worth a visit. I traveled to Bodø during November and was expecting to see a lot of snow (since it’s above the Arctic Circle). At the time I visited Bodø, I was studying abroad in Hamar, Norway (about 675 miles south of Bodø), which already had snow on the ground. But, while I was in Bodø, I didn’t see one drop of snow. It was, however, extremely cold. 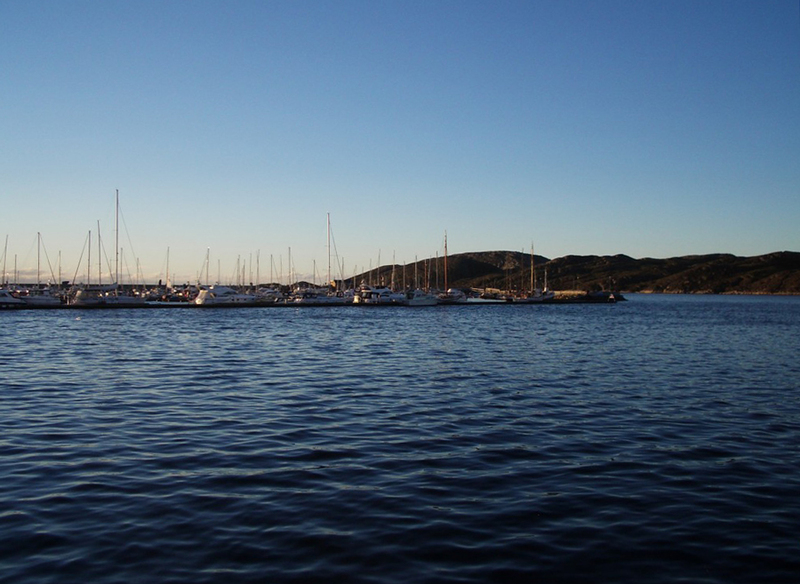 Also, since Bodø is a coastal community, there was a lot of wind which made it even colder. It took me about 16 hours to travel to Bodø from Hamar. I took an overnight train and slept through most of the ride. The trek is much shorter if you go by air. A plane ride from Oslo is just 90 minutes. 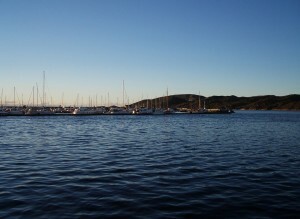 A marina in Bodø, Norway. I grew up near the water in the Pacific Northwest, so the first thing I thought of when I stepped off the train in Bodø (beside being so thankful the ride was finally over) was the smell of the seawater. It instantly reminded me of home. It’s amazing how you can be thousands of miles away from family and friends and just a simple smell will give you comfort. 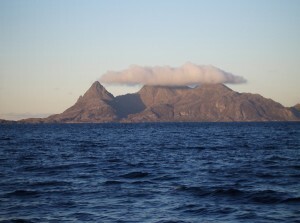 One of the islands we saw on our boat ride around Bodø. Bodø is surrounded by a bunch of little islands. My friends and I wanted to see as much as possible, so we hopped on a ferry and went on a two-hour ride around the islands. The boat we were on was actually used by many of the locals to get around from one island community to another. The concept is very similar the ferry system found in Western Washington, except there’s no room for vehicles, only people. The boat stopped every once in a while at the smaller, nearby islands to let people off. Sometimes someone would get on the boat. Many of the towns shouldn’t even be called towns because they are so small. Some of the communities looked like only a couple dozen people lived there. They were so tiny! 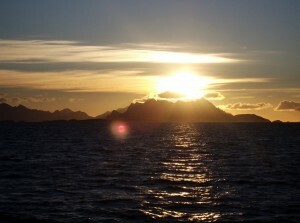 The sunset in Bodø, Norway. 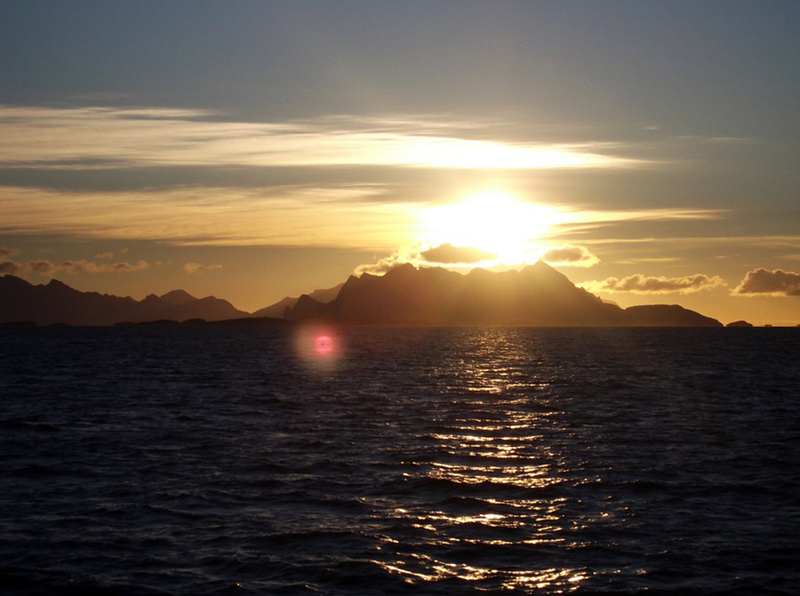 Since Bodø is located north of the Arctic Circle, it doesn’t see a lot of daylight during the winter months. In fact, the sun doesn’t come out at all for a few weeks in December and January. Even though the sun didn’t stay out for too long while I was there, it was very bright. The sunset we saw on the boat was one of the most beautiful I’ve ever witnessed. I went into my trip to Bodø, Norway thinking I was only going to gain the title of visiting the Arctic Circle. Fortunately, I gained a whole lot more. This coastal town is both beautiful and welcoming. Though it does take some time to get to Bodø (especially if you take the train), I’d recommend going if you can ever make the trek happen. Have you ever traveled to Bodø, Norway? How about north of the Arctic Circle? What did you think? We’d love to hear from you. Leave a comment below or connect with us on Twitter, Facebook and Google+. Don’t forget to also check out Seattle Bloggers for more great getaways from Seattle. My husband who was born in Nedre Eiker, Norway, and I traveled to Bodø several times. In the summer we sat on a pier and ate cooked shrimp out of a paper bag. 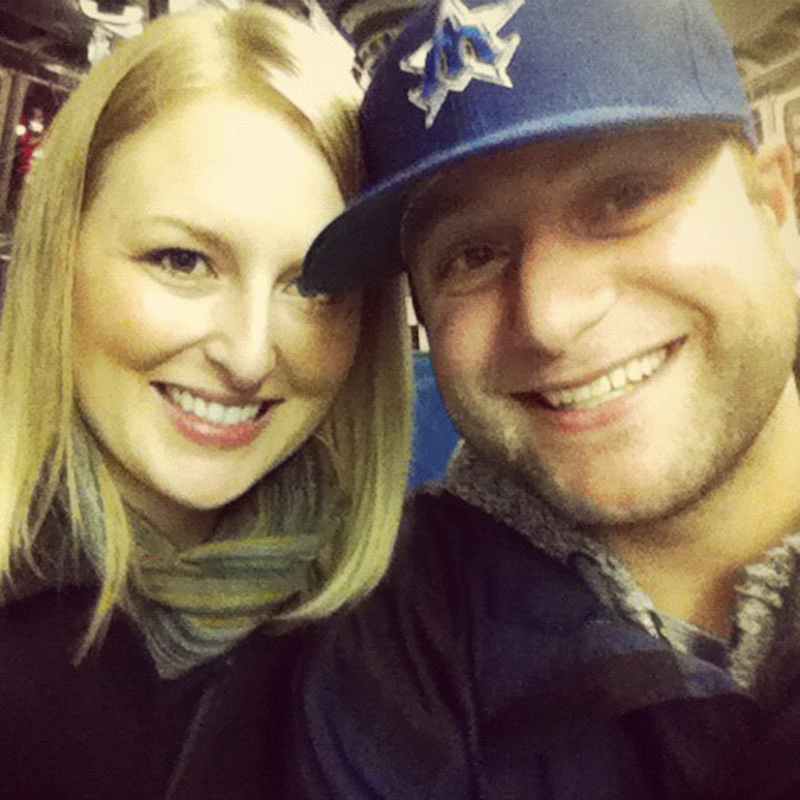 We made a snowy winter trip by train also. By the way his name was Ragnar.